So far RoperHVAC has created 15 blog entries. Ask Dirk: Should I have my furnace serviced for winter? With cold weather upon us, chances are you have turned on your furnace for the season and are enjoying the warmth it brings to your home. Your furnace system controls the temperature and moves air throughout your home to keep it comfortable while also filtering out dust and allergens. A yearly preventative maintenance inspection by a qualified service technician can keep your system functioning at peak efficiency by identifying problems from thermal stress, movement, or dust. Yearly fall maintenance can save you time, frustration, and money when it’s done right by a trained technician. It may even prevent a mid-winter failure by nipping a pending problem in the bud. Manufacturers typically recommend that furnace filters be changed every three months. Homes with smokers, pets, or situations that let more dust indoors will likely need to change their filters more regularly than other households. Since your furnace has air filters that keep dust away from your heat exchanger and reduce dust from entering your ducts and blowing back into your house, you may not need regular duct cleaning. The strong exception to this is if you see mold, insects/rodents or excessive dust coming from your vents; if you do, then a duct cleaning is in order. Be sure to hire a competent contractor if you decide to clean your ducts, and make sure they guarantee that their equipment won’t damage your ductwork. Your service professional also will be able to inform you as your system nears the end of its useful life. That way, you can be in control and replace your equipment at your convenience, instead of having to make a crisis replacement. Ask Dirk: Should I humidify my home? Living in Nevada, we are very familiar with the concept of low humidity, but what is it, really? Humidity refers to the amount of water vapor in the atmosphere. Relative humidity, a term used by weather forecasters, measures the actual amount of moisture in the air compared to the total amount of moisture that the air can hold. An important factor in determining how much moisture air can hold is its temperature – colder air holds less moisture than warm air does. Here in Nevada, we often hover around 20 percent for relative humidity, so it feels dry because our air is holding one-fifth (or less) of the moisture it is capable of holding. Winds along the west coast typically blow west to east which brings cool air (which holds less moisture) from the cool water onshore. Additionally, the Sierra Nevada blocks much of the moisture coming in from Pacific storms. Since cold air holds less moisture than warm air does, there is less moisture in the air during winter time. To make matters worse, when humidity levels dip, the ambient air feels cooler and we turn up the heat. A properly sealed home will require less humidification, in addition to added efficiencies for your furnace. If humidity levels in the home dip too low, your furniture and house can deteriorate. Wood floors, furniture and millwork may split and crack, paint could chip and electronics can be damaged. Additionally, dry, cracked skin and dry nasal passages may make it easier for germs and viruses to enter your system. While you may not actually need a humidifier, it may make your home more comfortable by helping to reduce dry skin, itchy eyes and irritated nasal passages, and by reducing static electricity. Adding a humidifier to your home can remedy low humidity with varying degrees of effectiveness and cost. Adding moisture to the air is as simple as placing a vessel of water on top of, or next to, a radiator or other air heating system, or hanging wet clothes out on a drying rack or hanging in doorways. This is a very low-tech and low power method; however, the strength and humidity controls are limited and available moisture is dependent on the size of the vessel used or the amount of wet clothes left out to dry. Vessels must be frequently refilled and cleaned. 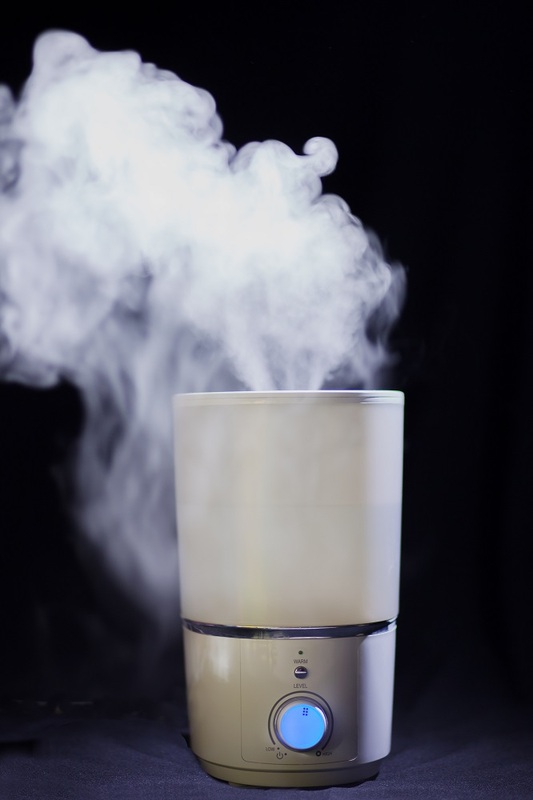 The most common type of humidifier is a portable one and there are two types: cool mist and warm mist, both of which use a reservoir to hold water. The cool mist uses a wick to absorb the water and a fan blows air through a moistened filter. As the air passes through the filter, it evaporates some of the water into the room. Warm mist humidifiers use a heating element that heats the water before dispersing it into the air. Portable systems are easy to use and they can be moved as needed. However, similar to natural evaporation, control and measure of relative humidity is limited, and the reservoir must be refilled about every 24 hours and cleaned regularly. For the most controllable humidity system, adding a whole house humidifier to your furnace will distribute vapor directly into the heated air and circulate it throughout the house using your normal duct system. The whole house system is the most effective and the most expensive option. With a whole house humidifier, you control humidity levels with a device called a humidistat (like a thermostat). This method has the greatest humidification capacity and provides the most control overall. If you choose to humidify, remember to keep the unit clean and the water fresh on the portable units. A wise man once said, “Do your research before purchasing anything.” Might have been me, but it’s great advice anyway. Ask Dirk: Which portable air cleaners do the best job for removing smoke from the air? We seem to be catching a break from the smoke that filled our service area over the past weeks. The National Interagency Fire Center is predicting that in mid-September, we’ll experience weather events that will begin to reduce fire activity in the region, but only briefly as California enters its fall fire season and smoke again fills our valleys. Portable air cleaners are one way to help manage your indoor air quality. Properly sized for the space you’re intending to clean, these portable units can reduce indoor air pollution, and can run continuously for less cost than running the fan in your central air conditioning system, which can increase your electric bill $40 or more per month. To size your cleaner, compare the square footage of the space you wish to clean with the square footage rating of the device. Visit www.ahamdir.com for more information on how to size your air cleaner. Most air cleaners will be either mechanical or electronic. Less expensive units might not clean the air as well as more expensive units during smoke events like we’ve seen over the past couple of months, but could be fine the rest of the year. Mechanical air cleaners pull air through filters that trap particulates in the air. Reliable and safe, these air cleaners do not produce an air pollutant called ozone, which has been labeled a health hazard. Mechanical air filters offer various levels of air cleaning, all the way up to HEPA filters. I own a unit with both charcoal pre-filter and a HEPA filter. I like my little HEPA unit with the charcoal pre-filter – it offers the best chance of getting the stuff I’m most worried about, even if it can’t always completely keep up with fire season. As with your air conditioning system, mechanical air cleaner filters need to be regularly replaced to ensure efficiency. Follow the manufacturer’s guidelines, or check often during smoke events to make sure your filter is clean. Electrostatic precipitators (ESPs): ESPs remove suspended dust particles by applying a high-voltage electrostatic charge and collect the particles on collector plates that need cleaning when dirty. Ionizers: Ionizers draw dust and particles from the air and deposit them on special surfaces within the unit. They typically use little electricity and are efficient – and quiet – to run. They may produce negative ions, and trace amounts of ozone, usually well below that of intentional ozone generators. Intentional ozone generators are not typically recommended for homes or other occupied spaces due to the large amounts of ozone they produce, similar to other air cleaners like those using ultraviolet (UV) bulbs and those using surface coatings like titanium dioxide to remove particles in the air. Others, including hydroxyl generators, that are designed to remove chemicals can emit volatile organic chemicals in the air. Confused? As always, do your research before committing to buy anything. Keep in mind operating costs, which include electricity (look for Energy Star models) and filter replacement. Some models have washable, reusable filters which may save money down the road. Some units may be noisier than others, or need to run on high for longer periods of time. Ask Dirk: How can I lower my cooling costs? It can be expensive to be cool, but you can lower your cooling costs with these simple tips. Dirty filters are one of the biggest causes of AC poor performance or system failure. Imagine breathing with a filthy cloth over your mouth and nose. It’s much harder, and you’re bound to start coughing. 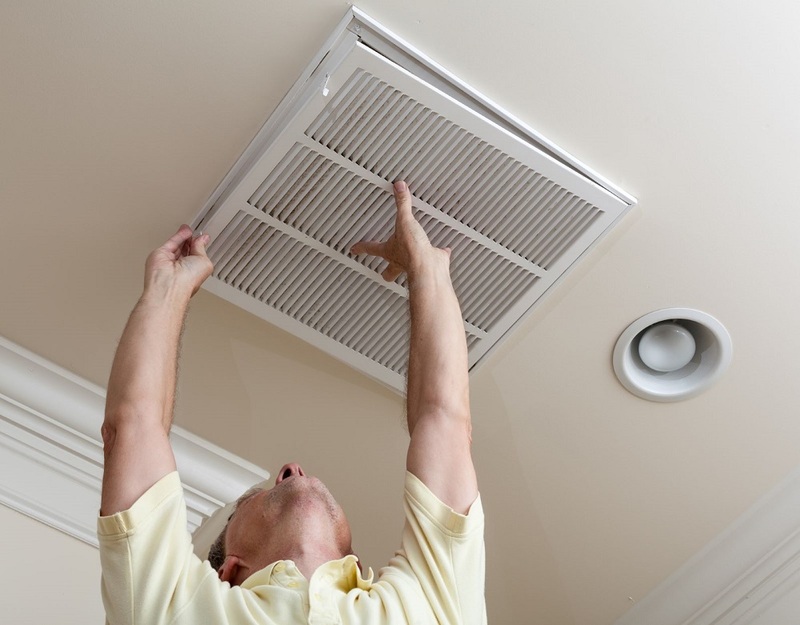 Your AC needs regular filter changes to keep your system running smoothly. At the very least, change them twice a year during your summer and winter AC service. Better – change them quarterly. Best – change them monthly, especially during high-use times. To keep your AC running right, annual service on your AC will keep it running at peak efficiency. Regularly scheduled maintenance will improve reliability, lower your energy bills, result in fewer costly repairs, help your equipment last longer and provide a safer, healthier indoor environment. If something isn’t working quite right, call your friendly local AC repair service. Your technician can run diagnostic tests to find and repair the problem. It’s really better than waiting for disaster to strike and facing expensive repairs down the road. You called your trusty technician and he’s recommended repairs. Do it. For the life of your equipment, make the repairs. Hiring a skilled, professional service company to fix your equipment will reduce the cost of a crisis later on. AC professionals are trained in the ways of AC equipment and will make repairs properly in less time than hiring a handyman or trying to figure it out yourself. Making a mistake or ignoring the warning signs could lead to unpleasant consequences. Find a company whose technicians gain new techniques and knowledge to keep up with an evolving industry. Bonded, licensed and insured contractors remove the risk from you and take it on themselves. Who doesn’t like those odds? Ask Dirk: Is my thermostat costing me money? Ask Dirk: Will running my ceiling fan in the winter save money? 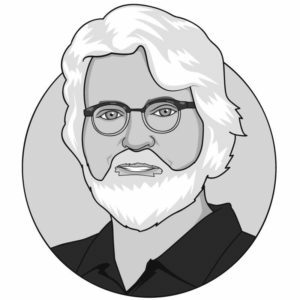 Ask Dirk: What Should I Do Before Calling for Service? Ask Dirk: Do I need fresh air in my home? © COPYRIGHT ROPER’S HEATING AND AIR CONDITIONING. ALL RIGHTS RESERVED.